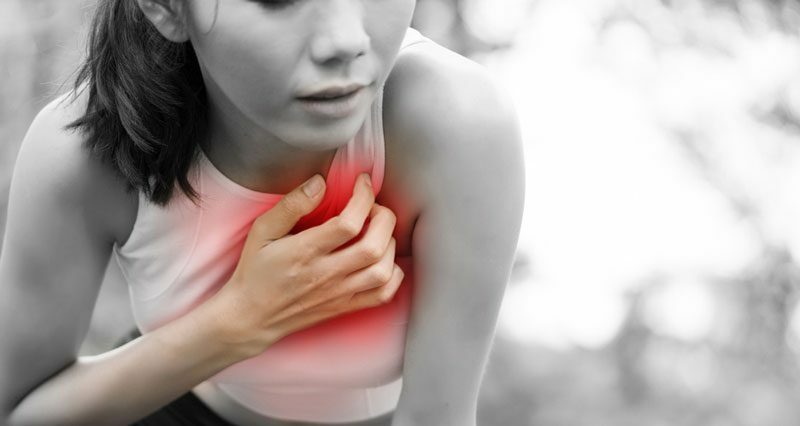 Chest pain in athletes can be from a number of causes, although cardiac or heart problems should always be considered. If following a history and examination, a cardiac cause of chest pain is suspected, then the athlete should be referred for a resting Electrocardiogram (ECG). If this is normal an exercise test may be performed. Sudden cardiac death syndrome (also known as sudden arrhythmic death syndrome – SADS) is uncommon, especially in athletes or those that exercise regularly. In younger athletes (under 35), the most common cause of sudden cardiac death is Hypertrophic cardiomyopathy or other structural congenital conditions. Marfan syndrome is another cause of sudden cardiac death in young athletes, although this will usually be diagnosed at a young age and should avoid high-intensity exercise. In older athletes, Coronary heart disease is the most common cause, followed by mitral valve prolapse. As already mentioned, Hypertrophic Cardiomyopathy (HCM) is the most common cause of sudden cardiac death in the sporting population. HCM is a disease of the cardiac (heart) muscle resulting in an enlarged (hypertrophied) left ventricle wall. HCM is divided into two types – obstructive and non-obstructive. Obstructive HMC refers to the obstruction of the blood flow to the left ventricle. If HMC is suspected, an ECG may demonstrate ST segment and T wave abnormalities and a prominent Q wave. The investigation of choice, however, is an Echocardiogram. A hypertrophied left ventricle which is not dilated and no evidence of other conditions indicates the presence of HCM. The vast majority of cases of sudden death caused by HCM occur in males.